This is a good way to use up your leftover chapatis. 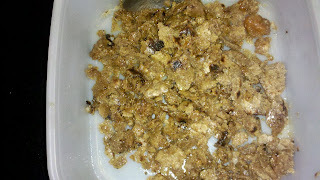 In a micro-safe dish, add the coarsely ground rotis, melted ghee and jaggery. Mix with a spoon. Micro for a couple of mins mixing in between. Enjoy spoonfuls or shape into round balls / laddoos. Delish! 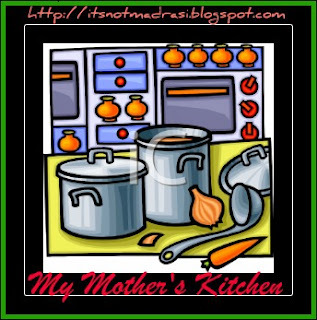 Sending this to What's cooking- Kalyani's blog for her MMK - Mithai Mela. I love food and I hate to see any of it go to waste. And on top of it, I love sweets! Though this is a favorite, I don't try this too often because so much of ghee and so much of jaggery- I put on so much weight! You can also try this with baked batis, which is a recipe for another day. This is only a different version of churma.